When a school district with a non-discrimination policy and guidelines that stipulate "non-engagement of political activities" partners with a self-described "social justice" organization that's blatantly hostile to Israel and its supporters, what could possibly go wrong? 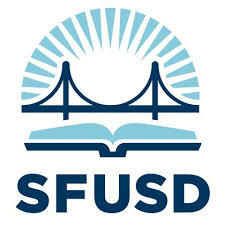 The San Francisco Unified School District (SFUSD) did just that in May, when it approved a three-year memorandum of understanding (MOU) with the Arab Resource and Organizing Center (AROC) to "provide workshops in classrooms related to leadership development and cultural empowerment" at five San Francisco high schools. The proposal for an MOU with AROC — a pro-BDS organization led by radical anti-Israel activist Lara Kiswani — was put on hold in 2015 after an outcry from parents and organizations, including the San Francisco Interfaith Council, the Jewish Community Federation, and the Jewish Community Relations Council (JCRC). The JCRC sent a letter to SFUSD expressing concern that AROC would "push a radical anti-Israel and anti-Zionist agenda in San Francisco." At a 2014 UC Berkeley panel discussion, Kiswani — AROC's executive director and a former member of the thuggish Students for Justice in Palestine — declared, "Bringing down Israel really will benefit everyone in the world and everyone in society," while warning an opponent, "As long as you continue to be on that side [Zionism], I'm going to continue to hate you." That same year, AROC exhorted donors to "Help us kick Zionism out of the Bay Area." AROC also led a 2014 "Block the Boat" campaign, which succeeded in preventing a partially Israeli-owned cargo ship from offloading at the port of Oakland. Kiswani's reasoning? "Because it's time to disrupt Israeli business as usual. It has been time since 1948." In 2017, AROC sponsored an "Arab Liberation Mural" in San Francisco to "celebrate and honor" the "exemplary bravery and courage" of five Arab leaders, including Popular Front for the Liberation of Palestine hijacker Leila Khaled and convicted terrorist Rasmea Odeh. At a 2017 pro-Israel protest against a mural glorifying Odeh at Oakland's Reem's Bakery, Kiswani ripped a sign from the hands of a disabled woman, tore it up, and strutted around with the remains. This May, fresh off protesting the move of the US embassy in Israel to Jerusalem and marking the 70th anniversary of the "Nakba" — Arabic for "catastrophe," referring to Israel's founding — in San Francisco, AROC helped disrupt a local appearance by former Israeli Prime Minister Ehud Barak, whom the group labeled a "war criminal." Predictably, AROC has dismissed opposition to its SFUSD contract as "Islamophobic and racist attacks" by "outside interest groups." And declaring victory in May, it announced that the "Arab Community Wins in the Face of Zionist Attacks!" To accusations of bigotry, AROC coyly responds, "[W]e are against all forms of discrimination and racism, including Zionism." Meanwhile, the "anti-war" group proudly touts its governing philosophy: "We believe the global nature of policing and repression is directly related to the relationship between US imperialism and Zionism." Yet this is the organization that Laura Dudnick — SFUSD's Public Relations Manager — claimed in a boilerplate email to this author "has agreed to our non-discrimination policy and our guidelines pertaining to non-engagement of political activities." Moreover, AROC is tasked with providing "important services to SFUSD students, including support for families new to the US and social-emotional support for students." While AROC's MOU does not limit it to a specific group, its focus is on Arab-American students. Given that liberal San Francisco is celebrated for its tolerance, it's hard to imagine that the approximately 625 Arabic or Middle Eastern students in the school district would need "social-emotional support." Still, AROC's website emphasizes victimhood and resentment, with histrionic references to "these difficult times," "racism and xenophobia," and "increased attacks on Arab and Muslim communities." On Twitter, AROC opposes all efforts to bolster national security and enforce US immigration law by employing the misleading term "Muslim ban" and jumping on the "#AbolishICE" bandwagon. If this is the divisive guidance that San Francisco schools are offering Arab-American students, future generations are sure to suffer. Opposition to SFUSD's MOU with AROC remains strong, despite school officials' gullible assurances. JCRC spokesman Jeremy Russell, noting that AROC's "extreme and hateful agenda is public knowledge," told J: The Jewish News of California, "We opposed this MOU precisely because we think it will be very difficult for the district to enforce its nondiscrimination policies on an organization that fundraises on an anti-Zionist platform." Likewise, the parent of an SFUSD student wrote, "One would have to be incredibly naive to believe these 'service providers' will check their politics at the school door. They are activists." Citing Kiswani's penchant for "offensive and hurtful anti-Jewish stereotypes of money, power, and nefarious motives," the Anti-Defamation League's Seth Brysk encouraged SFUSD to "partner with providers that are inclusive and will reinforce the district's goals of creating respectful schools and communities." Meanwhile, the Zionist Organization of America sent a letter to SFUSD insisting that AROC's contract be rescinded unless it complies with the district's non-discrimination policy by "publicly and unequivocally renounc[ing] all of its anti-Israel and anti-Zionist rhetoric … and publicly apologiz[ing] for engaging in such discriminatory conduct to this point." Since the chances of AROC reforming itself are nil, it will be up to parents and others in the community to register their displeasure with the San Francisco school board. There's no excuse for allowing an organization of bigots and extremists to gain a foothold in the city's public schools. Otherwise, SFUSD's policies of "non-discrimination" and "non-engagement of political activities" are toothless.